You’ve spent some time here, but you can’t quite figure things out completely. It’s no easy task navigating through the wilderness that is IIT Madras, and T5E is here to help you out through your next few days here. Read on for handy tips and recommendations to see you through your stay in IIT Madras during this year’s Inter IIT Meet. Here is a campus map that will help you navigate things as you go along. Right by the stairs at the Himalaya mess, you will find the ‘Bru’ Stall, where you can eat your way through a bowl dry noodles (with a variety of options that will make you want to eat everything) and a plate of paneer roll. You can accompany these dishes with the beverage of the day, which is usually iced tea or apple juice. Climb down the stairs of the mess and to the left is ‘Zea Gourmet’. Here you can satisfy your craving for continental cuisine with their burgers, sandwiches and pastas. They also have combos to help you choose faster and wiser. If you walk along the main road from Himalaya, take a left turn from the Godavari hostel and walk a little further, you will find the Suprabha Canteed (formerly IRCTC, right next to the CCW office). Suprabha is the best place to be if you want a wholesome meal at a price that your wallet won’t hate you for. Their menu has a something to offer for everyone with their dosas, idlis, fried-rice, chaat (pani-puri, dahi puri, chana samosa) and their wide ranging variety of juices. If you do happen to visit, do not forget to have their “kaapi” to have the authentic filter coffee experience. If you’re feeling a little generous and want to treat yourself, campus offers two places to visit : Cafe Coffee Day and Zaitoon. The CCD on campus is much like any other CCD, except much cheaper and has a really good vibe to it. It is the perfect place to relax and unwind (hint: look out for those super comfortable cushioned chairs by the corner, they are the best to sink in and have your Dark Temptation). Although it needs no further description, a review of the campus outlet may be found here. Gurunath eateries have a little bit of everything: from fried chicken, to chilli garlic noodles, chaats, ice creams, and much more. 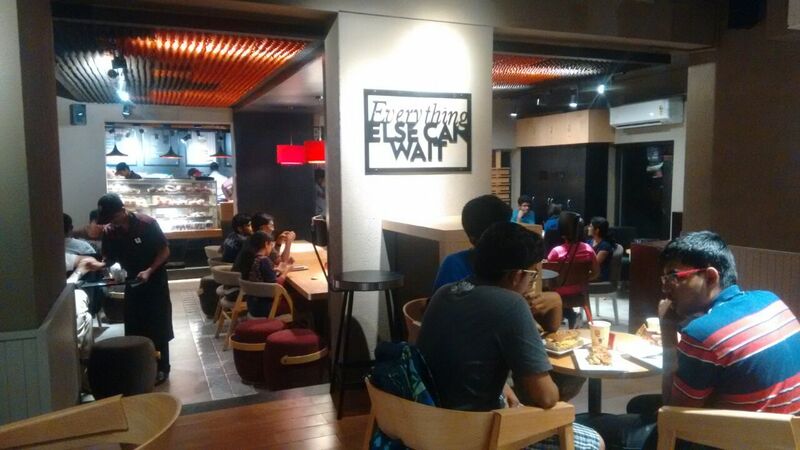 This is also a popular hangout spot for many students in insti and is also well priced. Gurunath is hard to miss, and is located right next to the Himalaya mess. Zaitoon on the other hand promises to offer to you arabic food with a subtle seasoning of Kerala cuisine. This is the place to be if you love your chicken. Do try out their Banjara Kabab, Chicken Angara Kabab and their Barbeque Chicken. For vegetarians, they have Paneer Hariyali Tikka and Tandoori Aloo. They also have a variety of curries and Indian breads and rice. Located on the ground floor of the two storeyed, red brick structure known as ‘Quark’, Zaitoon also offers delivery services within campus via their website, or by calling 072999 39974. Parfait, a small patisserie may also be found on the ground floor and offers an enticing array of light snacks and desserts to satiate your sweet tooth. 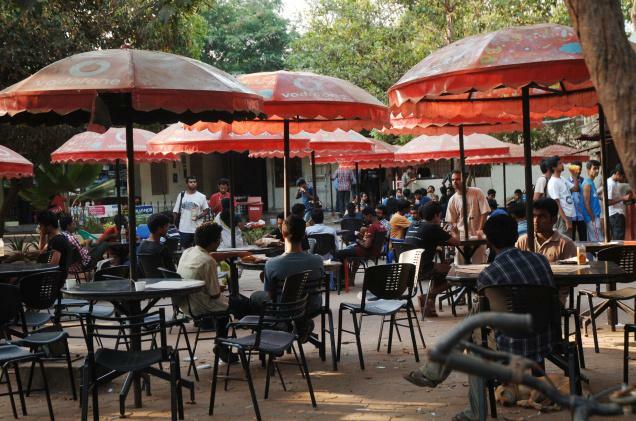 An all time favourite for most students is the ‘Campus Cafe’, its close proximity to the academic zone( take the left from Gajendra Circle, walk straight and take the first right and the next left) and the pocket-friendly, really tasty food, makes it a sure winner and a great option. 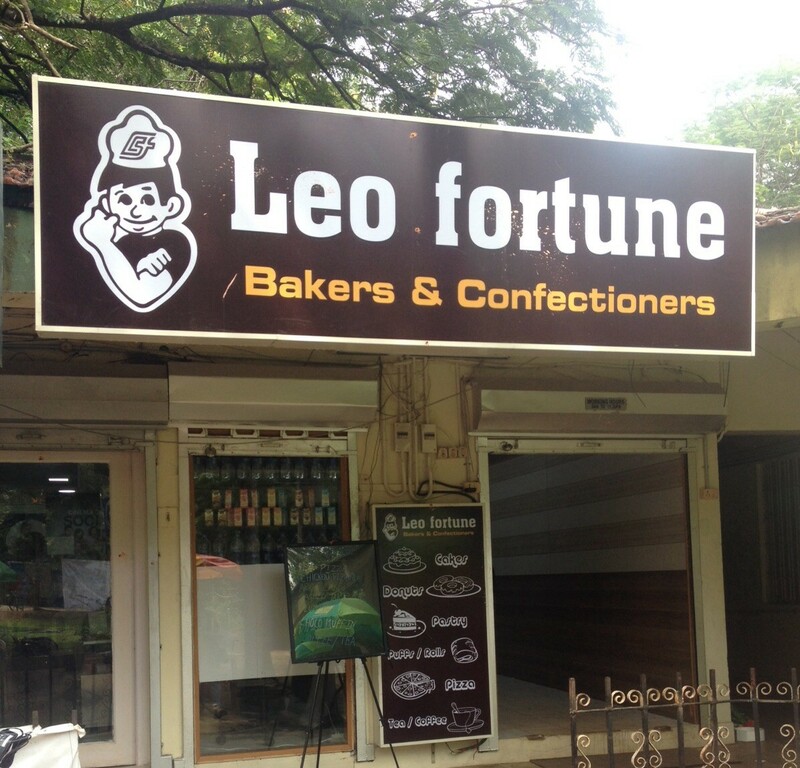 It is open during the day and has types of dosas, sambar vada and variety rice for meals. If you do happen to go there, do not forget to try out their parottha and kurma. On the second floor of the same building is the newly opened Food Court. This FC has a little of something for everybody; a detailed review of the individual stalls may be found here. Torq and Pedl are two apps that students can use to rent cycles anytime for a very nominal cost. PEDL is a hyper-local smart cycle sharing service powered by Zoomcar. Students can now get a cycle at ₹1/ half hour from one PEDL point and park it in any other point inside the campus. Anyone in the campus can use these cycles at anytime during day and night. – Visit www.pedl.in and link Paytm account. – Locate the nearest PEDL parking spot in the map. – Unlock your cycle by scanning the QR code or input the cycle code present in the cycle. – The cycle will be unlocked. – Once done with the trip, lock the cycle at the nearest PEDL spot. – The booking amount gets deducted from your Paytm account after the trip is ended. The weather is expected to remain warm, humid and cloudy over the next 15 days. Mild showers are expected. Given the unpredictability of Chennai weather, check the weather forecast on a day-today basis if you are concerned and always carry an umbrella. A 24×7 help desk has been set up to attend to all emergencies rising from heavy rains and flooding. The telephone number to call for all services of the Engineering Unit is 044-2257-8777 or Extn. 8777. 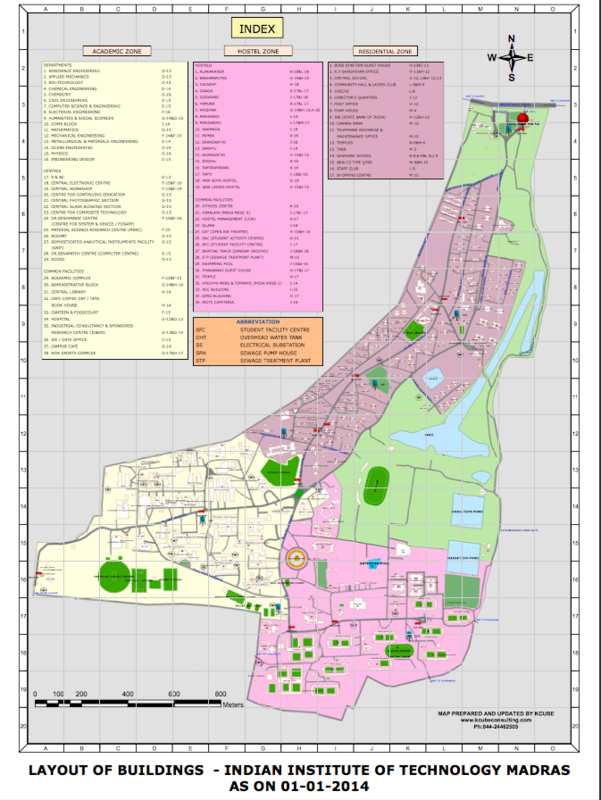 Flood prone areas on campus include the area surrounding Vindhya mess, including all the women’s hostels; the OAT, the road leading from OAT to Gurunath from the back, and most commonly the open areas in each hostel. The road leading up to the Student Activity Centre or SAC, is also extremely vulnerable to flooding and is best avoided altogether during the rains. The institute hospital can be reached at 044 2257 8888 for any medical emergencies or general issues, arising out of the rains or otherwise. Step out of the main gate, take a two–minute walk towards the left and you will find yourself in front of Gandhi Mandapam. This needlessly expansive building is grossly underutilized. It is massive, quiet, green and almost deserted at any time of the day. Head there to read, nap, meditate, (quietly) chill with friends or unwind in peace. Step out of the main road, cross the road (at the designated crossing to your left) and walk/cycle head right into the road adjoining the CLRI bus stop. 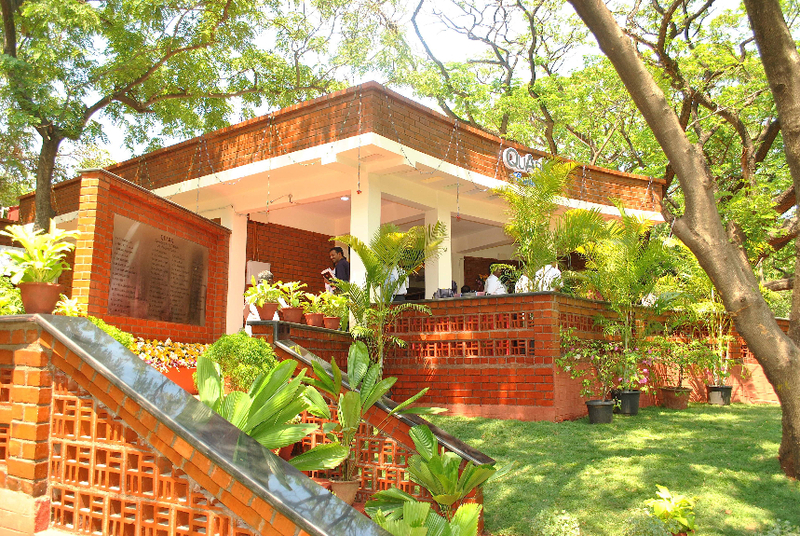 A seven-minute walk later, you will find the massive Anna Centenary Library to your left. Another grossly underutilized and always deserted space, this air-conditioned library contains a vast collection of books and comfortable furniture that can keep you from exiting the library for a long, long time. Please take note that it is not a lending library, books can be read only in the library. 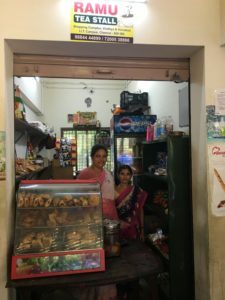 Opposite the Anna Centenary Library is Royal Sandwich; a tiny shop that you are guaranteed to miss at a cursory glance, Royal Sandwich offers delicious, wacky sandwiches at affordable rates. Their Chocolate Cheese Sandwich and Tandoori Paneer Sandwich are to die for. Step outside the Velachery gate (insti buses ply to the gate) and walk a kilometre to your right (do not take the autos, the rates are outrageous – Chennai does not believe in meters). To your left and impossible to miss is the Phoenix mall. You can watch a movie, window shop or just stay put in the air-conditioned space for as long as you would like. Step outside the Taramani gate and find yourself lost in a maze of cheek by jowl eating joints, as described by one of T5E’s correspondents/freelance food tasters here. Ø Marina Beach: Crowded and always bustling with activity. Try your hand at the carnivalesque games and eat a plate of assorted beach bhajji. 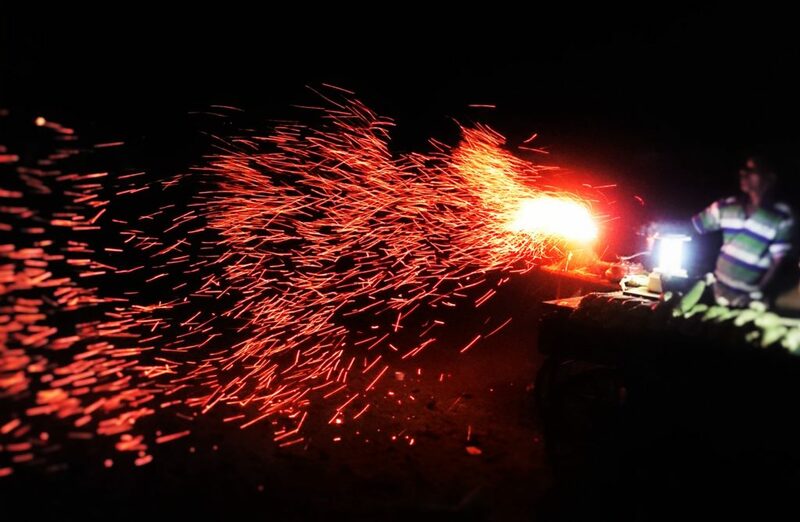 Ø Elliot’s Beach (aka Besant Nagar Beach): Less crowded with a dizzying array of food joints along the road. Ø Thiruvanmiyur Beach: Cleanest of the lot. No food or games. Tiny and peaceful. 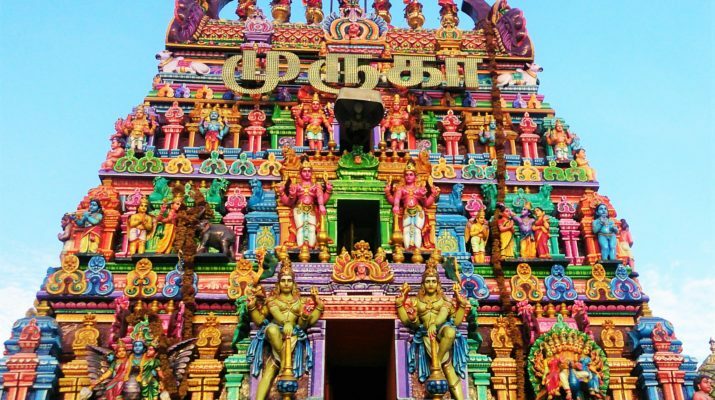 Temple tour: The city boasts of many ancient temples. Kapaaleshwarar kovil (kovil=temple), Agastiyar kovil, Madhya Kailash kovil and Parthasarathy kovil are stunning temples located in the heart of the city. Trudging up to the famed Mahabalipuram shore temple will take up at least half your day. Every street in the city has a temple and you might chance upon some of the oldest temples on a casual walk. Take a food walk in Sowcarpet: If you are feeling adventurous and missing crowds, set out on this food trail. Local bus and train service will take you to Parry’s Corner. Ask around and find your way through the crowded streets of Sowcarpet where many, many delicacies are tucked into little stalls and shops along the commercial district. Starter Pack: Mint street is where you want to be – Hot Jalebis and Chaat from Kakada Ramprasad, Kesar Lassi from Anmol Kesar Lassi and Murukku Sandwich from any shop/stall selling Chaat. Do not carry food in your hands, monkeys will take it. For that matter, do not carry any sort of packet in your hands. Carry a bag with you and stuff your packets in that. If you are in one of the hostels that are frequented by monkeys, never leave your door open. Do not try to touch any of the animals on campus. While it may be tempting to touch a deer, kindly maintain distance. Cycle slowly through the campus and keep an eye out for deer crossing or dogs loitering. Refrain from littering as animals often choke on plastic/metal litter. Always carry an umbrella; it shields you from rain and sun and is a useful defence weapon to ward off monkeys. 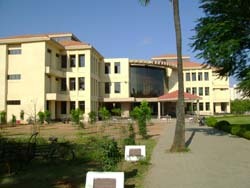 Network connectivity is poor in most places in the campus. Get out of closed spaces and try making your calls on the roads – Airtel, BSNL and Vodafone have decent coverage in the area. It is slightly more difficult to book a cab from inside the campus. Make sure you give appropriate directions. Cabbies and Auto-drivers usually charge extra if they are dropping you at your hostel. Ensure that you tell them that you need to be dropped inside the campus while negotiating rates. The institute buses ply from 6AM to 10PM. A useful guide to the timings and destinations can be found here. These buses often get extremely crowded; it would be ill advised to board an already overcrowded bus for general benefit of everyone involved. Apart from essentials you may already have, buy a bucket and mug from Gurunath or KK departmental stores. You can share a broom and dustpan with friends. Buy an umbrella and mosquito repellent (liquid or cream). If you intend to access the internet through the LAN ports in each room, you can buy a LAN cable in Gurunath or KK departmental stores. Old Student Facilities Centre (aka Guru): This space contains a fruit and juice shop, an HP store (that repairs laptops and sells electronic goods and accessories), Leo Fortune bakery, Gurunath Departmental Store (where you can buy everything – daily utilities, stationery, cosmetics, electronics, clothes), a men’s salon, a photocopy shop and an eatery (that sells chaat, sandwiches, fast food, ice-cream and shakes at a subsidised rate). New Student Facilities Centre: Located next to the girls’ hostels, this space contains KK Departmental stores (that sells utilities, stationery, cosmetics and food), Ramu tea stall, Andavar fruit and juice shop and an ironing vendor. Right next to it and slightly hidden from view is a well-equipped cycle repair and service stall. For needs that cannot be met by Guru and KK, head down Delhi Avenue into the residential zone. The shopping centre houses many shops including Ambika departmental store (which is like any other metropolitan departmental store), a fruit shop, an ice-cream shop, a sweets shop, a bakery, an electronics sales and repair outlet, cobbler and travel agency. For more guidance on how to brace the next few days on campus, this guide for freshies (but suitable for anyone new to IIT Madras as well) would be extremely handy. Take a walk. The campus is huge, beautiful and peaceful. Take a walk along the long-winding roads and pause only to admire deer. With no curfew, you can take night walks with your friends and be noisy on the road. Rent a cycle and set out to explore the campus with or without the campus map. Watch a film in the OAT (Open Air Theatre). A movie is played every Saturday night at 8 pm in the OAT. You might have to buy a ticket (Rs.30) to enter. During the interval, remember to quickly walk over to the popcorn stall and grab some delightfully flavoured popcorn. A Tamil movie is likely to be screened on the 16th of this month and Justice League is likely to be screened on the 23rd. 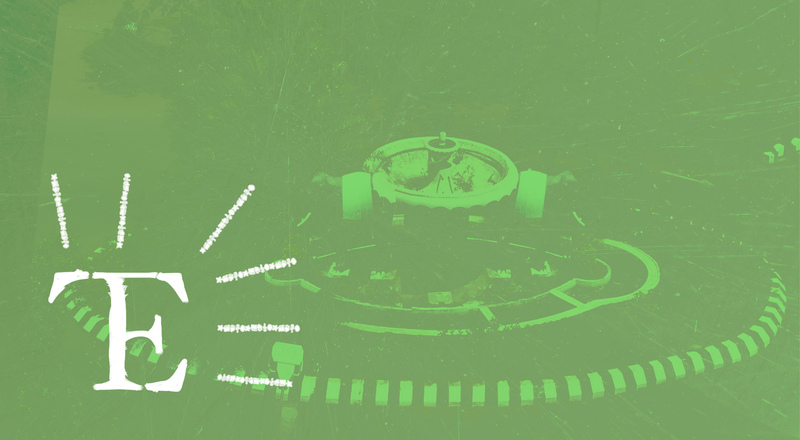 Lastly, to know more about campus life in general, read this to get a sense of what it’s like to live in IIT Madras- a place filled with never ending possibilities!